Rush to the pool this summer for hours of fun under the sun. 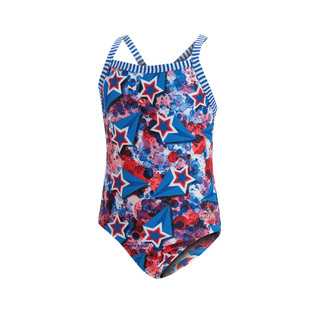 The durable construction of our Dolfin Toddler Uglies Liberty Female girls swimsuit makes it a great addition to anyone's swimming closet. Providing a comfortable fit for your young athlete could not be any easier. A beautiful, bold design and great coverage make this an easy choice for all parents.